I will be updating this page soon with events planned for 2018. In the meantime, here are some successful and enjoyable events from 2017. This should be a great friendly match and I really appreciate the support. 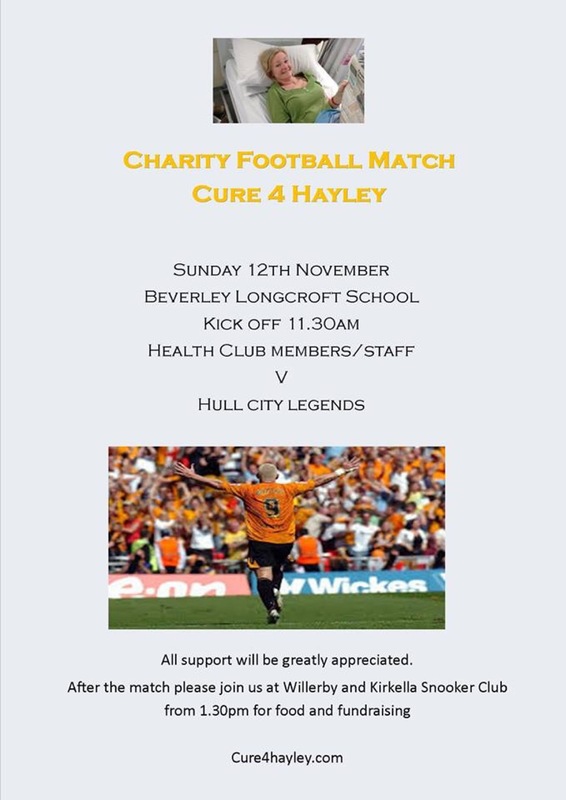 Also looking forward to the post match food and fundraising follow on at my dad’s local club. Hopefully, will meet many of my supporters there. My great friend, Tony Sturdy, has organised these musical events for me. Both even ts promise to provide a great mixture of music and good company. I hope to attend for at least part of both events. 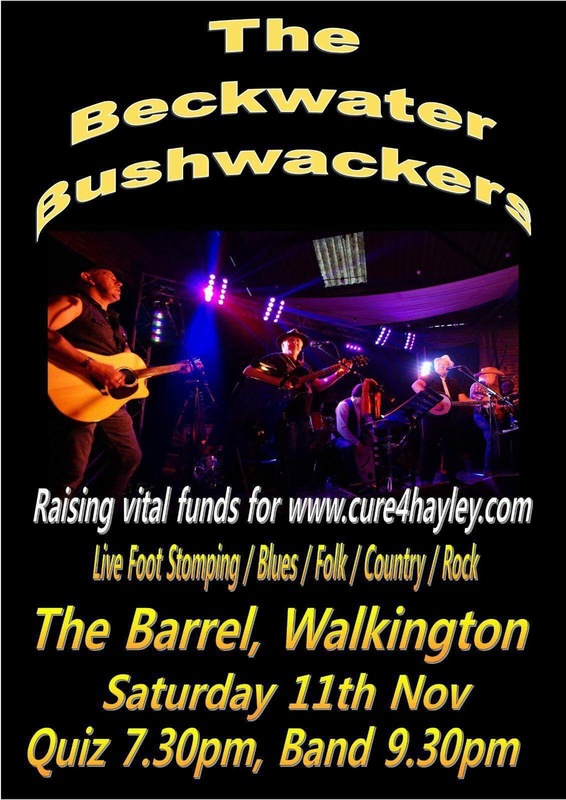 Includes a video with highlights from the wonderful Walk4Hayley and some great feel good moments, especially when bandanarama start s playing! 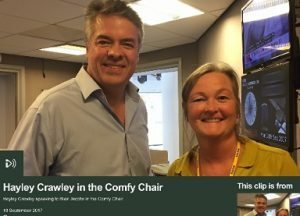 I had the pleasure of speaking to Andy Comfort about how my family is staying positive to live well with cancer. Heart wrenching to do, but helped by a caring young reporter, keen to help me tell my story. 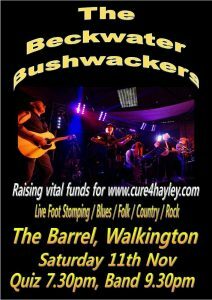 Bake 4 Hayley – lots have already taken place and raised significant donations totalling many thousands of pounds. Run 4 Hayley – My friends, the Paddison family, ran 50k in a week for me! A group runners are signed up for a summer 2018 half marathon/10k event and are looking for more runners to join them. 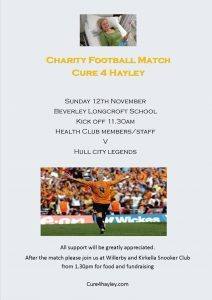 Please email cure4hayley@gmail.com for details. Walk 4 Hayley – Nurses and friends organised a magnificent event, the brain child of nurses working at Doncaster Royal Infirmary. 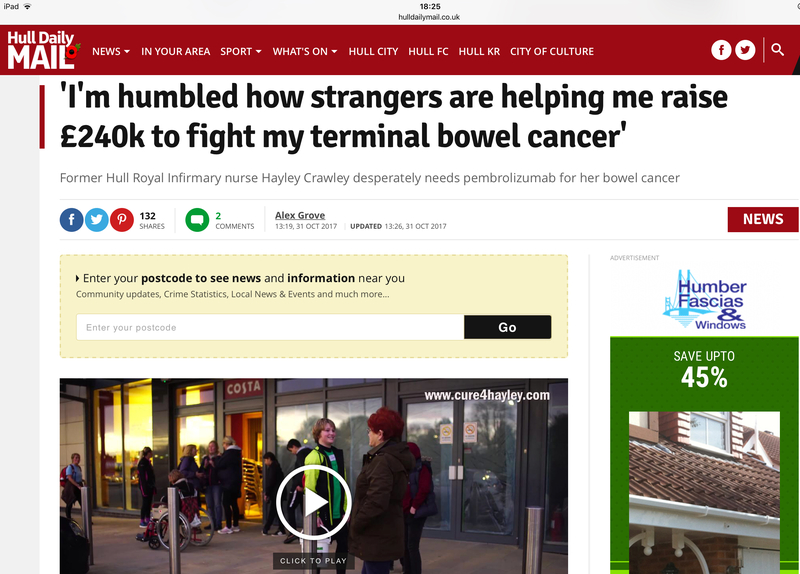 They walked the 50 plus miles to Hull Royal Infirmary and raised over £18,000 in the process and generated much publicity/good will. The musical welcome at Hull Royal Infirmary was truly memorable and raised everyone’s spirits! 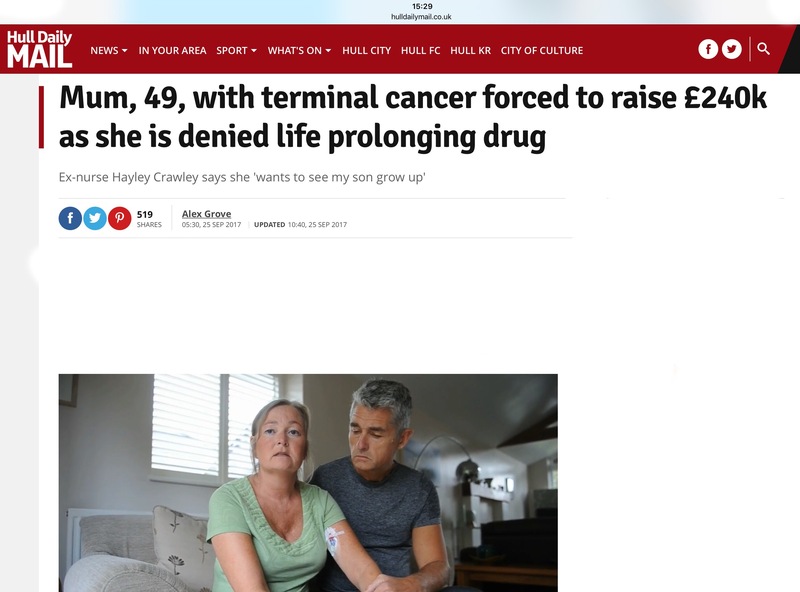 Sing 4 Hayley – The All for One choir have already raised over £2,600 for me.